(CHERRY HILL) – New Jersey Secretary of Agriculture Douglas H. Fisher wants to hear from Jersey Fresh produce fans about where they get their New Jersey grown fruits and vegetables, how the produce is being used and their favorite farms to visit. 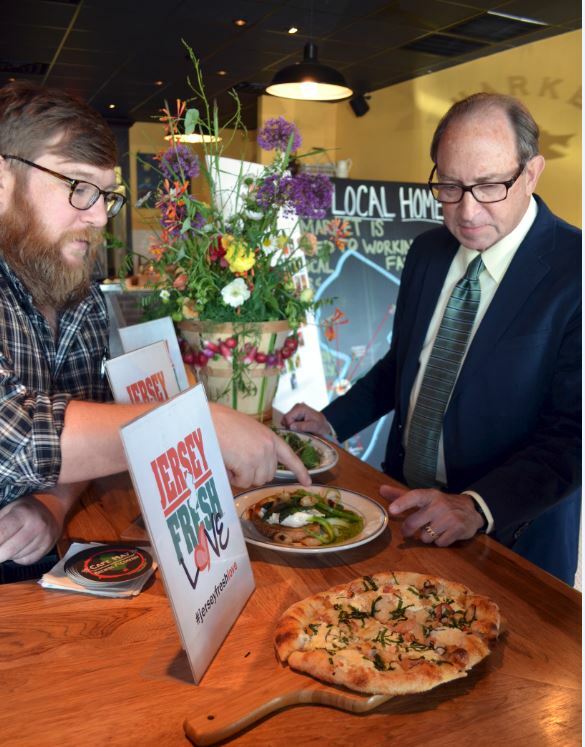 Secretary Fisher kicked -off the new social media campaign, “#Jersey Fresh Love,” during a stop at the Farm and Fisherman Tavern in Cherry Hill. Ben Menk (left), General Manager of the Farm and Fisherman Tavern in Cherry Hill shows Secretary Fisher some of their dishes featuring Jersey Fresh ingredients. The Department is looking for people to share their love of Jersey Fresh through photos – post images of favorite Jersey Fresh fruits, vegetables or dishes; a local farmer, farmers market or roadside stand; a favorite restaurant that serves Jersey Fresh and Jersey Seafood dishes; a visit to a winery; or agritourism adventure. Also, post spottings of the Jersey Fresh logo or share a recipe. Tell us a little about your photo, where you are and why you love it so much. Be sure to include the hashtag #JerseyFreshLove in all your posts about Jersey Fresh. Each week the Department will gather some favorites into an album and share them. Remember to show your Jersey Fresh Love. The Farm and Fisherman Tavern opened in Cherry Hill in 2013 by Josh and Collen Lawler. In partnership with Chef Todd Fuller, they strive to incorporate Jersey Fresh produce and local meats and cheeses in their menu items. 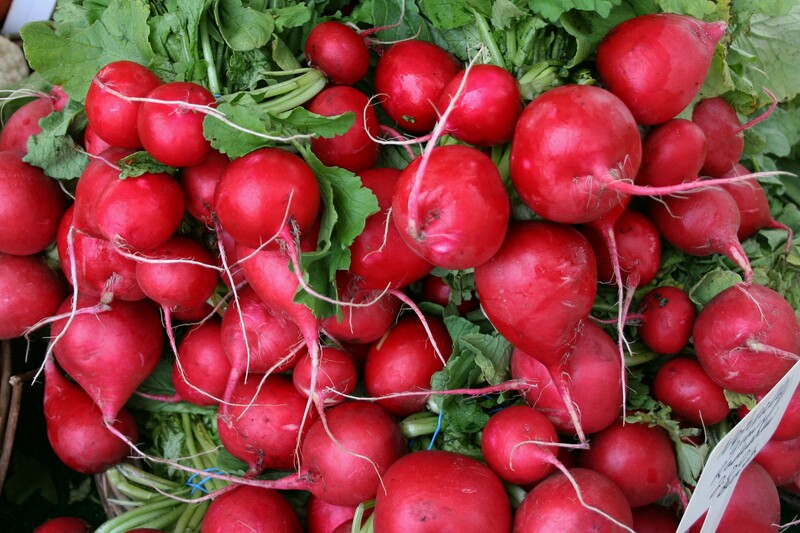 They source from New Jersey farms, including Savoie Organic Farm in Williamstown, Pinelands Produce in Browns Mill, Springdale Farms in Cherry Hill and Muth Family Farm in Pitman. They also preserve Jersey Fresh produce to use during the winter months. Lawler said their goal for the restaurant is to continue building relationships with area farmers and to serve the best ingredients possible. Continue to monitor the Department’s social media channels at Facebook http://www.facebook.com/JerseyFreshOfficial, Twitter @JerseyFreshNJDA, Pinterest at http://www.pinterest.com/JerseyFreshNJDA/, Instagram @jerseyfreshNJDA and Tumblr http://jerseyfreshofficial.tumblr.com/. To learn more about the New Jersey Department of Agriculture, find us on Facebook at http://www.facebook.com/NJDeptofAgriculture and http://www.facebook.com/JerseyFreshOfficial or Twitter @NJDA1 and @JerseyFreshNJDA.